Here at The Saklan School, we honor your child’s transition into kindergarten by providing them with rich learning experiences combined with a warm environment to help your child thrive. 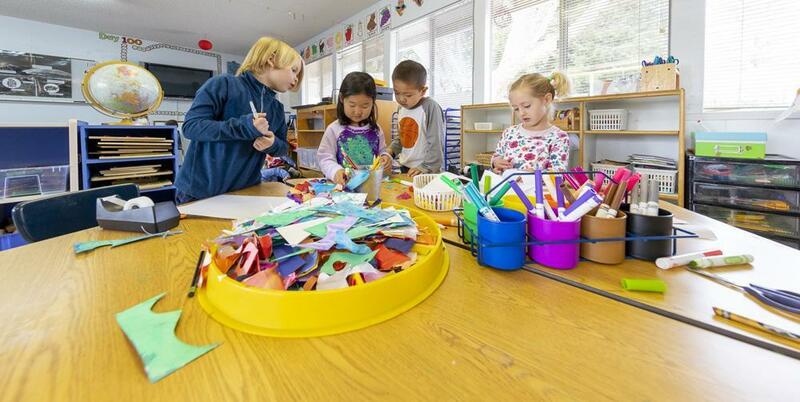 Our kindergartners learn math concepts through hands-on exploration. 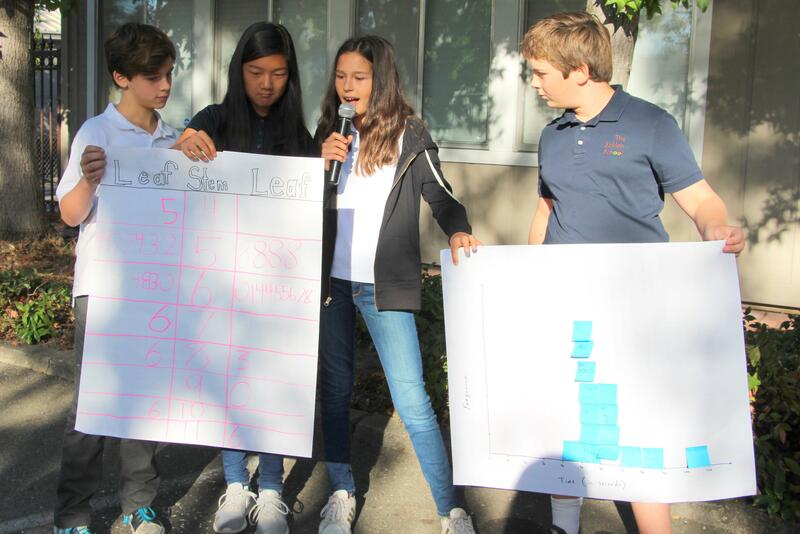 We use the Sadlier-Oxford Progress in Mathematics Program, and lay the foundation of connecting mental math and logical reasoning skills to mathematical concepts and applications. We emphasize number concepts, patterns, counting, addition and subtraction, graphing, classifying, sorting, place value, money, time, number writing, and shapes. Our kindergarten classroom uses an integrated approach to develop respect and understanding for individual differences and commonalities. 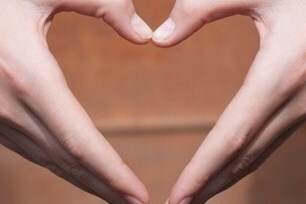 We emphasize the understanding and creation of community. Students learn about the school community, their immediate community, and those of the world around them. Students learn about friends, families, as well as sharing, taking care of the environment and animals. Various celebrations from around the world are studied in conjunction with fairy and folk tales. We apply the Wonders Reading Program in our kindergarten classroom, all letters and sounds, many sight words and word families are introduced with the goal of mastery by the end of the year. Teachers provide many opportunities and experiences for these young students to learn language in all its varied forms-reading, writing, speaking and listening. 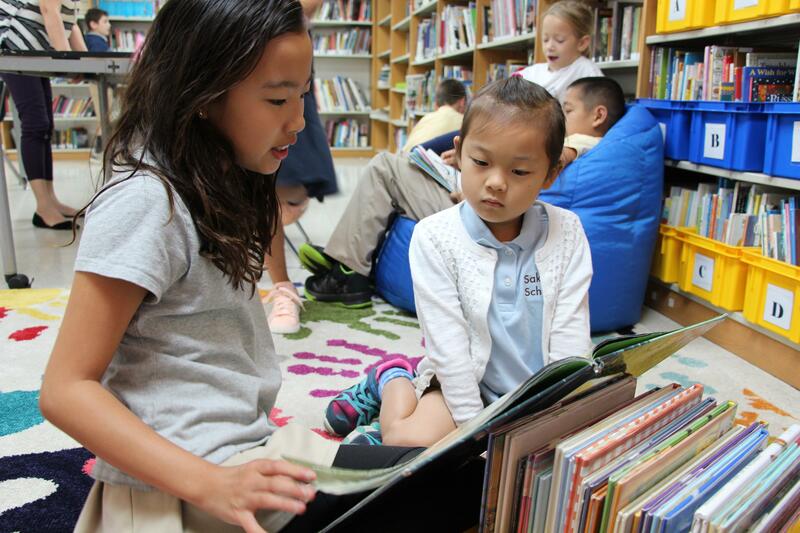 Literacy is also integrated into many other aspects of your kindergartner's day, including a love of literature with weekly visits to our library, journaling, art, science, math and social studies. Science is integrated throughout the Kindergarten curriculum. We concentrate on Inquiry-based and hands-on methodologies. 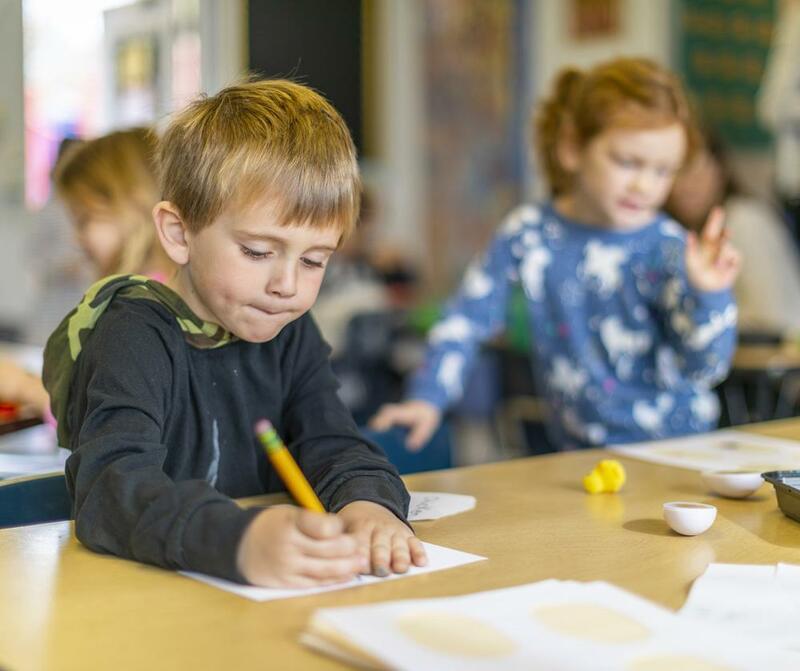 Your kindergartner's natural curiosity will be nurtured as they learn to question and explore to find the answers to their questions about the world around them. In the classroom we’ll focus on major areas such as: bones, bugs and insects, the farm, weather and seasons. Other areas we introduce include the five senses, life cycles, non-living versus living things, and dinosaurs. Our Kindergartners also visit the science lab throughout the year for more hands-on science. 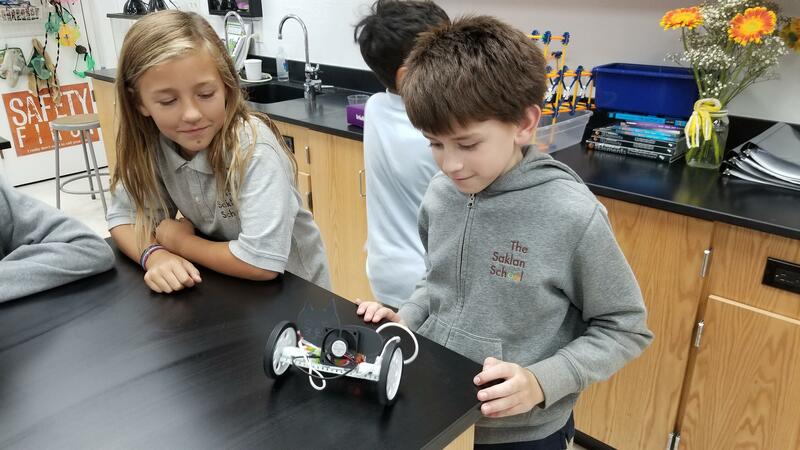 The lab unit, taught by our science specialist, allows our young students to use science equipment, go in-depth into the scientific method, to encourage a genuine love of science. Kindergartners have access to iPads which are used to supplement the Language Arts and Math curriculum. Using IXL the children work individually on areas of needed growth. Kindergartners love time outside the walls of the classroom. A variety of field experiences are scheduled to support what is going on inside the classroom. Some of the field trips include: the fire station, a farm, the Oakland Zoo and live performances. Take part in our Spanish language learning with an interactive approach. We use songs, poetry, stories, games, activities and themes. We focus on the oral elements of the language.Throughout the year, young students are introduced to more complex grammar concepts, begin to read and write simple text, and learn about Latino culture. Kindergartners meet for Spanish three times a week for 30 minutes. Enjoy a Music Specialist and the opportunity it provides to discover individual talent and passion. Visiting three times every week, young students are encouraged to experiment and learn about a variety of instruments, from hand drums to and drum kits, to xylophones and hand bells, and apply these experiences to performances. 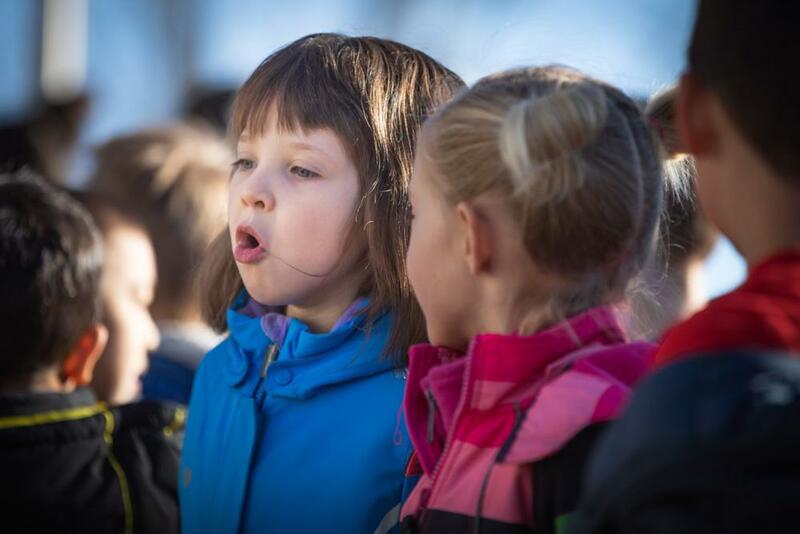 Kindergartners meet for music three times a week for 30 minutes. Participate in Visual Arts, where students use their inner and outer world to inspire unique works of art. 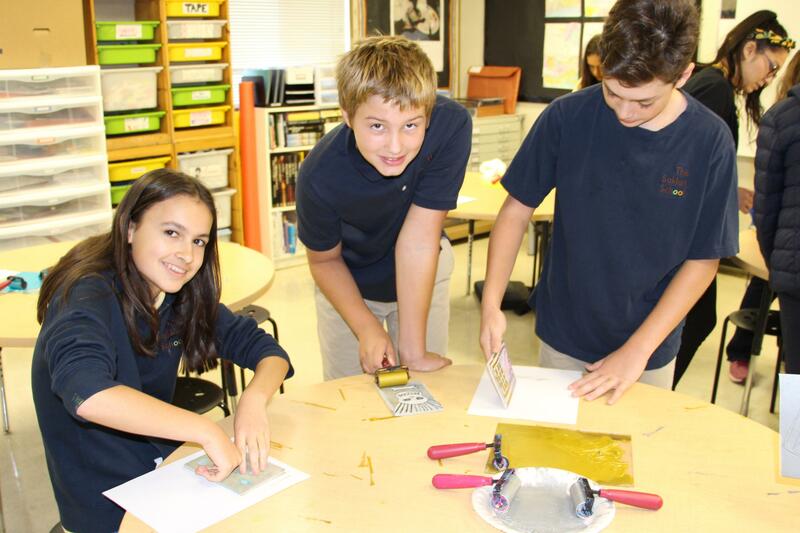 The students explore and express their creativity using a variety of mediums in both two and three dimensions. Students are encouraged to voice their inner artist and learn to value and enjoy experimenting with different processes and understanding mistakes being a part of learning. In a positive art community, the students work collaboratively sharing materials, ideas and cleaning up together. Have robust Physical Education everyday. Physical play is an integral part of our kindergartner's learning experience at the Saklan School. Young students explore the relationship between practice (routine, repetition, and intensity), and motor skill acquisition. They learn how to learn by helping each other. They practice how to organize and cooperate for healthy competition. Every young student is offered the opportunity to to feel comfortable in order to learn at their own pace and accept new challenges. Karen loves teaching Kindergarten at Saklan and uses her student's innate abilities to be creative, compassionate and courageous as the foundation for the Kindergarten curriculum. A fourth generation San Franciscan, Karen has a BA in Psychology from the University of San Francisco and an Elementary Education credential from San Francisco State University. 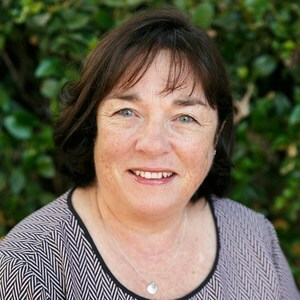 She began her career teaching Kindergarten for ten years in San Francisco and Menlo Park. For the next 15 years, Karen was very busy raising her three children. 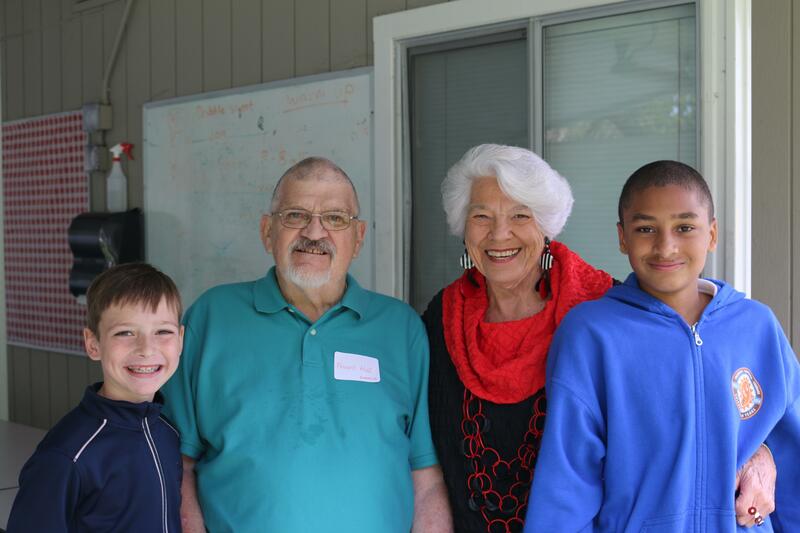 In 2005, Karen decided to return to teaching and began teaching Pre-Kindergarten at Saklan. In 2009, Karen became the Director of Saklan’s Early Childhood program while continuing to teach Pre-Kindergarten. In 2018, she became the Kindergarten teacher. Karen enjoys being with her family and reading.